Periodically, eZee has demonstrated itself as second to none in the hospitality industry. And carrying an experience of more than a decade with a complete range of solutions in it's offerings; eZee's excellence and domain knowledge has boosted it's presence in all dimensions. With everything shifting to cloud lately; we put forth the idea of developing a cloud point-of-sale software for restaurants and alike. 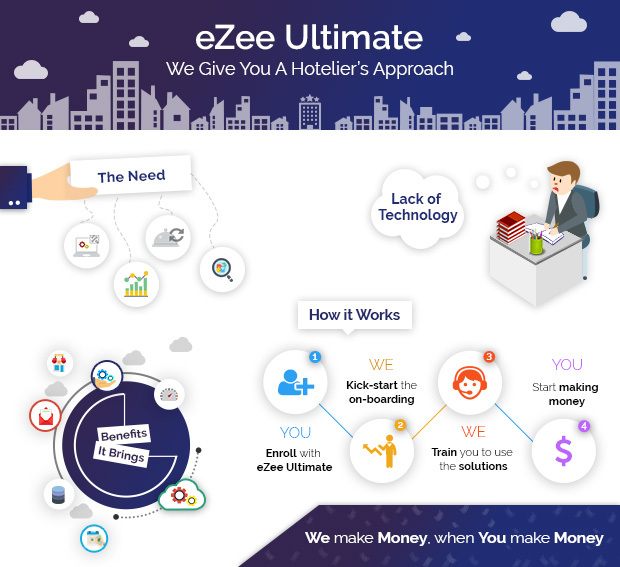 Owing to the currently held PMS, hotel booking engine and channel manager on cloud technology, eZee has achieved an expertise in this arena thence making the most of the perks of cloud. 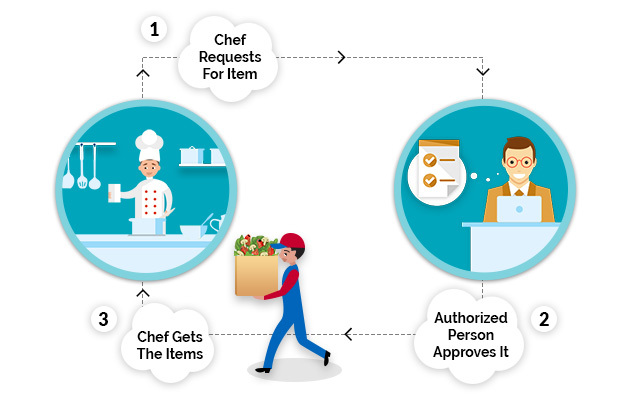 Thus, moving on the same line for tech-savvy restaurateurs; we embarked on developing a cloud-based restaurant point-of-sale software - eZee Optimus. 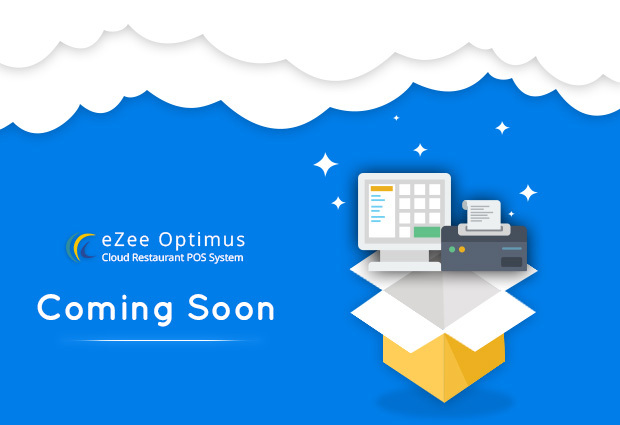 Consisting of certain fundamental features along with selected additional modules of our on-premise POS eZee BurrP!, we have eZee Optimus coming soon in our charts. Owing to the upcoming launch, the system is all set to aid the industry from all aspects. Get to know about our new product. Just enter your email here, and we will notify you with the launch. Technology, unlike other avenues of the hospitality industry has always something new to give you. Elements of surprise in such manner mold the primary aspect of upcoming arenas in technology. Hoteliers seeks such a technology which not only meets all their requirements, but also stays up-to-date with the trends. The multiple factors which affect the selection of technology for hoteliers include regular software updates, fundamental modules and required customizations as per the needs of a hotelier. Besides this, easy payment options of the software and minimal dealings with disparate vendors also affect the selection of technology in hotels. Moreover, what might influence the decision to choose technology is the point of ROI. Survey says that integrated solutions, rather than stand alone systems yield greater ROI in terms of lesser resources, time and efforts. Walking in pace with technology and it's advancements in the industry can benefit hoteliers and restaurateurs from all segments. We have a full-fledged infographic demonstrating the factors surrounding hotel technology. Have a look at it here. Every once in awhile, governments or authoritative organizations bring in something new for the betterment of tourism industry in their regions. And the cutthroat moments in competitive regions make it a mandatory point for the government to apply such regulations. In similar lines to this, Bahrain Tourism & Exhibitions Authority (BTEA) raised a requirement to get a set of reports and details automatically from all hotels in Bahrain every month. Accordingly, we developed a feature in our on-premise PMS eZee FrontDesk, such that occupancy details like number of rooms out of service, number of rooms out of order, number of checkouts in a day and number of occupied rooms. 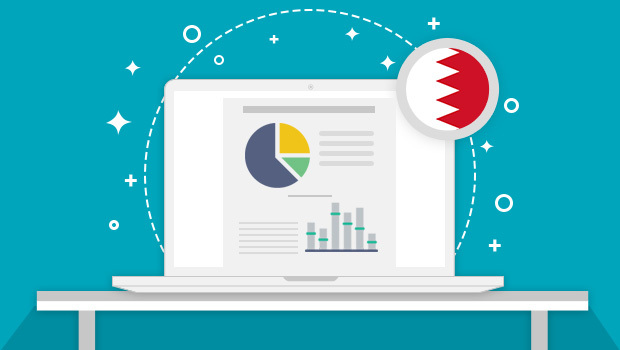 Furthermore, hoteliers in Bahrain will also be able to send revenue reports to the government right from the PMS, which can eventually aid the Taxation authorities in the country. The BTEA put this forth to exclusively uphold the security aspects as well as keep track of the foreign tourists visiting the country. There are plenitude of customization requests we have taken up for our products, which have helped our users in the long run. Have a specific requirement for your property? Contact us and we'll find the best way out for you. Before picking on some particular avenue of marketing for your property; you need to know what kind of influence each one can bring to your business and revenue. Online Marketing in those terms, plays a critical part in it. 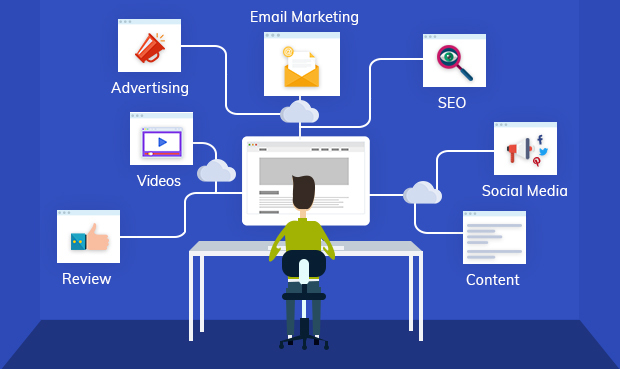 Therefore, just to give you a little something from our side, we're here with some insights on the elements of online marketing. Strategic Content : Content is the king. And the content on your website will lead your visitor to become a valuable guest. Design Matters : With interactive and attractive design, you can give an exemplary user experience to your website visitor, allowing him to book from any device. SEO : Obtaining good rankings on Google is the key to get noticed in this wide scope of online marketing, especially in hospitality industry. Advertising - PPC : Running regular PPC campaigns will get you relevant audience on your website, thereby giving a boost in your bookings. Social Media : Engage with your guests on several social media platforms. Let them know that you are easily approachable. Review Management : Reviews play a crucial role in establishing your brand's online presence in the industry. There are several strategies on choosing one of the many options in online marketing. Contemplate, analyze and figure out which way works out best for you. For more on such industry insights, tips and tricks, take a look at our newsletters. Oftentimes, when you are flipping through the request and usage reports of the stock and inventory in your restaurant, you might find certain unexpected records which you aren't aware of. At times like these, you would have the need of such a software which can update you with each request made, or better; which can help you restrict such requests made. Our restaurant point-of-sale software - eZee BurrP! gives you exactly that with the feature of Indent Authorization. Through this, you will be able to set three members to authorize any indents (requests) made by any staff member for the central store. Additionally, you will also be able to allow selected staff members to raise indents. The feature works in such a way that until any two out of three approve, indents will not be displayed in central store. Once approved by authorized persons, the central store supervisor will issue the items in indent to the requestor. By means of this feature, you will be able to keep a track on the requests made on stock supplies and cap those issued from the central store efficiently. Haven't tried eZee BurrP! yet? Explore more of it's features here and try it for free today. Through technology, the last several years have witnessed the industry change at an unprecedented pace. And what makes one a thriving business is the ability to adapt to constant changes and work around the facets which affect your methodologies and functioning. Needless to say, technology and customer service go hand in hand here. The most substantial effect technology has brought, is that it has made it easier for customers to interact with hotels and vice versa - online transactions are faster and securer. Aspects like mobile bookings, quick and efficient billing, self check-in kiosks or mobile guest portals are the result of technology. 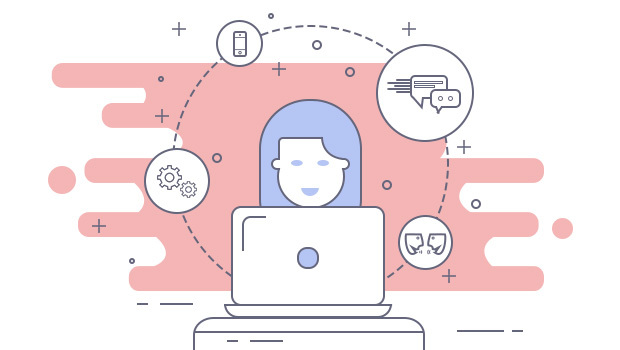 It is imperative therefore, for the industry to understand the deep relationship between technology and customer service and ensure that they keep their technology working well and updated at all times. Delivering services regularly via technology has less chances of human error, making it more efficient, reliable, swift, and cost-effective. eZee offers a range of integrated solutions for the hospitality industry. 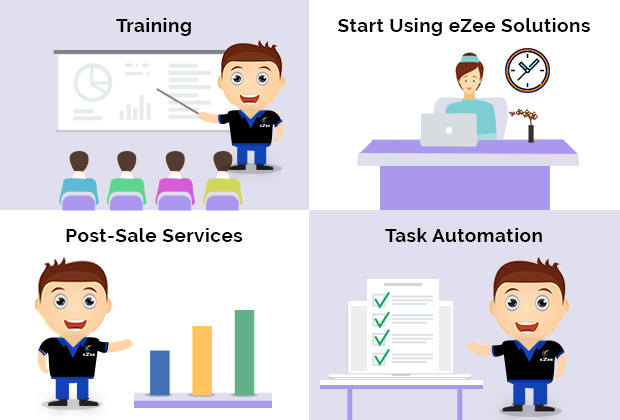 Know the top reasons on why to choose eZee here. Developers form the essence of any product. They are the ones who have a complete know-how of the product and can resolve an issue in mere seconds. But what if your users demand something completely out of the blue? Even your most experienced developers get stuck in a fix. That's when you seek for experts. Those who are skilled in their jobs and know exactly which troubleshooting techniques to apply at what stage of the development. 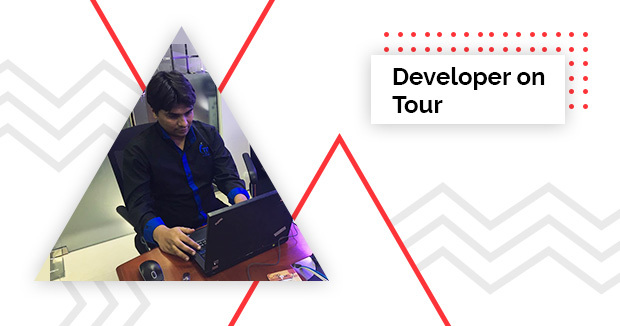 Along these lines, one of our developers, Manish Tanna from eZee FrontDesk product development team visited our partner Kays International LLC in Oman for 3 days to resolve the unfamiliar yet day to day queries of eZee BurrP! users Renaissance Services SAOG. Manish understood the problem thoroughly, planned the way out, and put it into action. He worked around the issue and washed it out right from it's roots, leaving no chance of interruptions anymore. Developers have the ability to find a way out of the most complex problems arising in working of their product. We at eZee are always keen to solve our users' queries and render a remarkable experience with our solutions. Stuck with a problem? Get in touch with our live chat support and have it solved ASAP. Making a newly enrolled client familiar with your software along with your working methodologies takes up a significant part of Client Onboarding process. Regardless of the industry you belong to, Client Onboarding holds similar influence in all. Client Onboarding is a full-fledged process which gives you a step-by-step guide on how to make your client acquainted with your software and the services you provide. Providing you with a chance to know your client in a more suitable manner, onboarding will form the first bridge of communication and long-lasting engagement between you and him. Through this process, you will be able to analyze and understand the mindset of your client and be aware of the mindset he used while purchasing your software and services. Client Onboarding is a vital part of nurturing your relationship with client while ensuring that you both are on the same page. It maps a path for you and your client to follow which will lead to both of you working towards each other's growth and progress. We too follow an intensive onboarding program which will help you stay tuned with our techniques. Reach out to our skilled team here and drop in your onboarding requests and concerns.